"The New Leader. A Different Leader." Technology - and what we know as the "Fourth Industrial Revolution" - is rapidly changing the way we work, live and interact with one another. With the global economies recovering, 2018 has been an exciting year of opportunities for many businesses and industries. In this year's leadership survey, we look at what constitutes a successful leader of the digital future against the findings of Gallup's Engagement Index and IBM's Employee Experience Index. 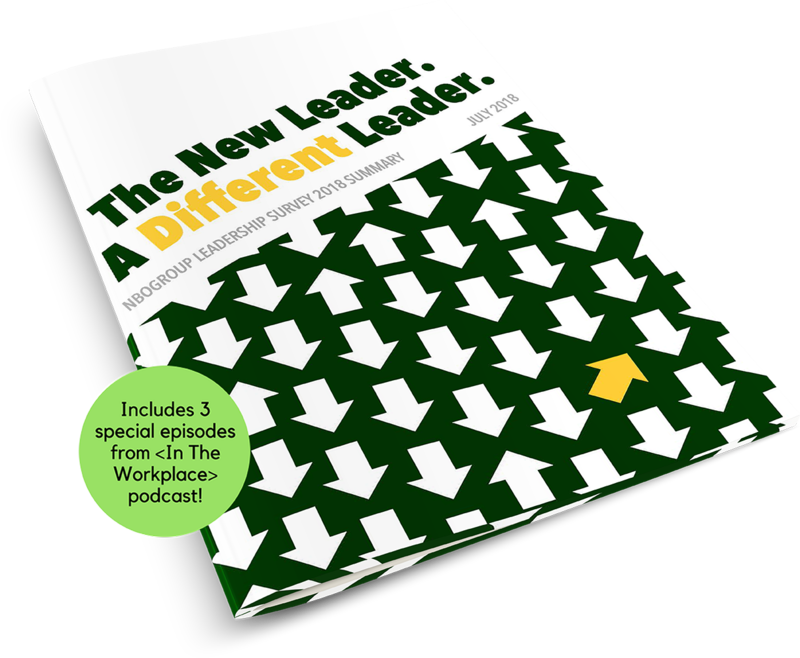 Furthermore, we have included three new episodes from our <In The Workplace> podcast series, targeted at the top three reasons why leaders fail in organizations and what leaders today can do to create a productive workplace of tomorrow. Be the new leader - a different leader. Get the latest leadership insights by simply completing the form to the right! I want to participate in future NBO leadership surveys. I want to receive news on NBO surveys, leadership insights and trends and/or other related events, products and services. *By providing us with your contact information, you consent to receiving additional content you have requested from NBOGroup. We will not share, rent or sell your information to third parties.